For 2008, Handycam® offers best-ever image and sound quality, plus innovative, easy-to-use shooting features that put amazing pictures within everyone’s reach. Six new High Definition Handycam® models raise the bar with brilliantly true-to-life Full HD images and sound. In a world first*, CMOS models now feature Face Detection for both video and photos, alongside smart new functions throughout the range for viewing, managing and sharing your memories. 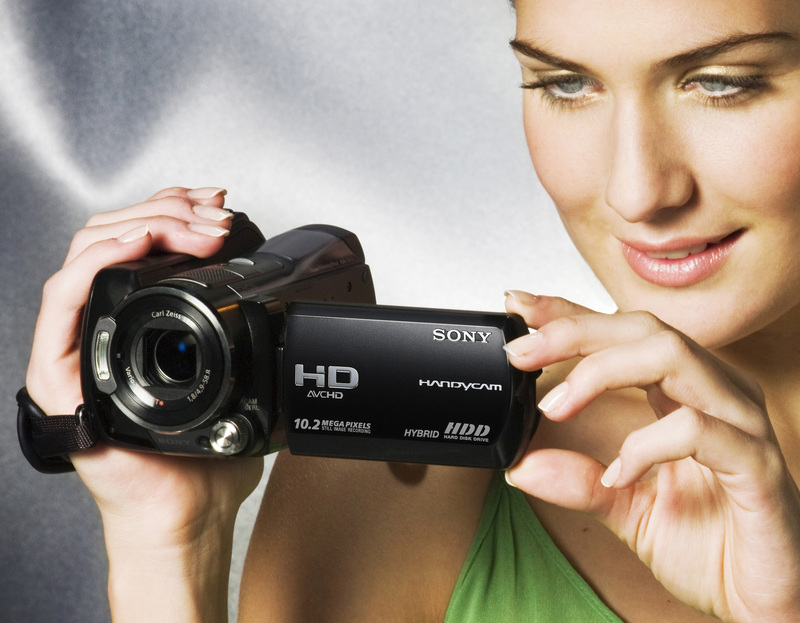 There’s also a generous choice of thirteen Standard Definition Handycam® models. Offering superb value for money, they’re generously equipped with convenient features like HYBRID movie recording onto removable Memory Stick (DVD/HDD models) and a 40x optical zoom Carl Zeiss lens (all entry range) that brings distant subjects closer than ever. The dramatic uptake of HD television across Europe is driving demand for better-looking High Definition content. 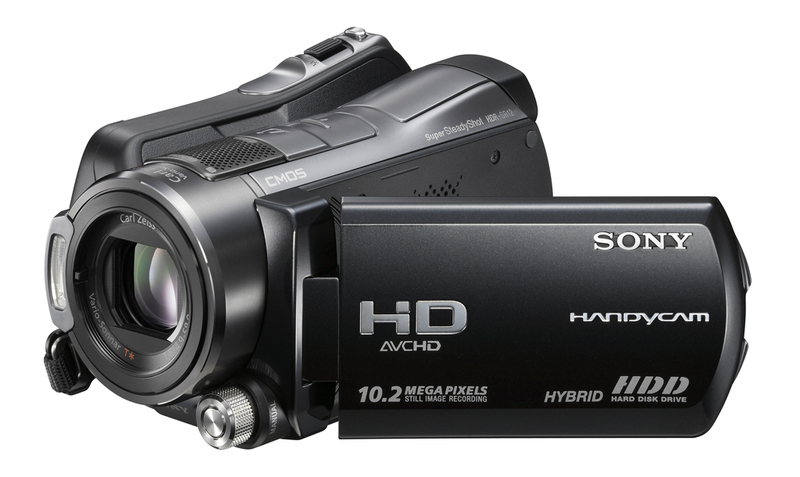 As recent Sony research reveals, picture quality and ease of use are now prime factors for consumers considering their next camcorder purchase. Six compact, beautifully styled new HD Handycam® models offer the perfect complement for your personal needs and shooting style – whether you’re capturing holidays, special celebrations or those unforgettable moments with family and friends. Pick HDD models for super-long record times, Disc for convenience and simple dubbing (HYBRID Plus) or the familiarity and rich manual functions of HDV tape. The entire Sony AVCHD range (HDD and Disc models) now offers highest-ever 1920×1080 resolution to assure stunning Full HD pictures. Still image quality has also been enhanced up to 10 megapixels, rivalling the quality of top-flight digital cameras. This amazing picture quality has been achieved through Sony’s leading imaging expertise. The ClearVid CMOS sensor now features Exmor™ technology that adds a column A/D converter to the sensor, realising ultra high resolution with high sensitivity and lower noise. The powerful BIONZ image processor that made its debut in Sony’s Alpha and Cyber-shot digital cameras is now incorporated into Handycam® range. This high-performance imaging engine supports the high-speed signal processing that’s required for many new features. In addition, the premium Carl Zeiss lens now offers a maximum 15x zoom range, with Super SteadyShot Optical Image Stabilisation for all models. HD Handycam® also introduces groundbreaking new shooting features for 2008 that make this superb image quality accessible for every user. In a world first* for video, Face Detection promises better-looking faces by adjusting focus, exposure and colour control automatically. Face Detection Bit Allocation takes this a step further, allocating more information to faces within the frame for the best-possible quality. Another smart function previously found in high-end Sony ? DSLR and Cyber-shot still cameras is the D-Range Optimiser. This controls exposure and contrast for great results, even when you’re shooting against the sun or in tricky high-contrast conditions. 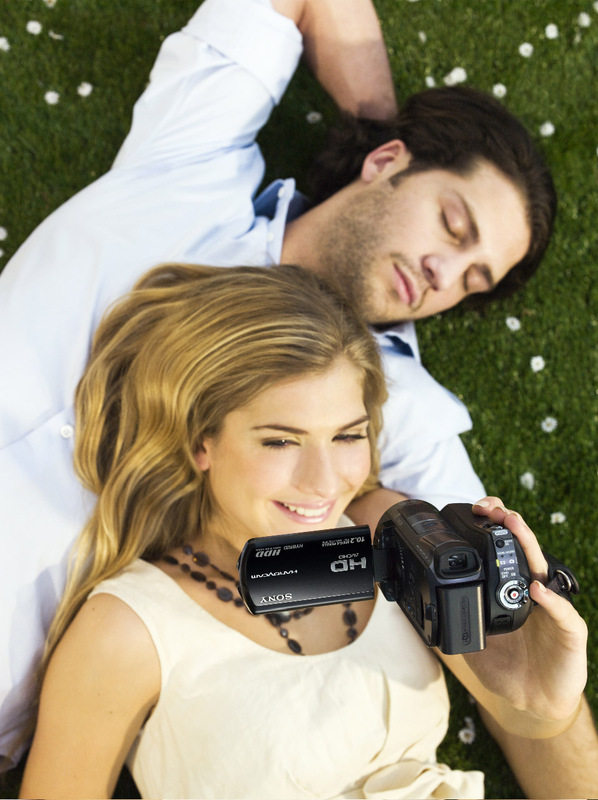 Handycam® also features enhanced audio features that take your memories a step closer to the picture and sound quality of professional movies shot with special equipment. Superb 5.1 channel surround sound is now enhanced with an internal zoom microphone that operates automatically during image zoom-in/out. You’ll be proud to watch and share your memories with Handycam®, even if you’re not near to a television. In another Handycam® first, a photo-quality Xtra Fine LCD touch screen reveals incredible detail with excellent contrast and a wide viewing angle. At home, you can sit back and enjoy your videos, assisted by new BRAVIA Sync for easy control of camcorder playback functions using your Sony LCD television’s remote control. AVCHD HDD (Hard Disk Drive) – Longest-ever HD record times plus ultimate picture quality: With no tapes or removable discs to worry about, AVCHD HDD Handycam® is great for holidays and extended trips when you need to travel light. Now with up to an incredible 120GB of hard disk storage on board, the range-leading HDR-SR12E shoots sparkling Full HD images for two whole days. Despite such generous recording times, it’s easy to track down your favourite shots in moments with handy Film Roll Index and Face Index for quick browsing through hours of footage. Imaging quality is equally impressive, with industry-leading 16Mbps Full HD picture quality mode, up to 10 Megapixel resolution still image capture, Face Detection and D-Range Optimiser for shooting, plus Xtra Fine LCD for viewing (HDR-SR11E/12E). AVCHD DVD – Full HD pictures and sound with easy sharing in a slim body: AVCHD DVD Handycam® lets you archive all your HD recordings onto compact 8cm DVD discs and removable Memory Stick. Recording time is extended to almost 7 hours with dual layer disc and the new 16GB Memory Stick* (optional). 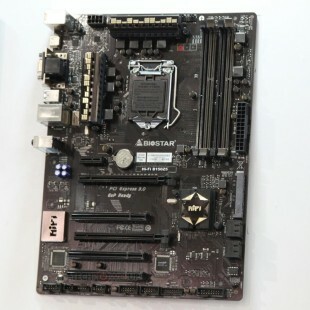 In addition, the UX19E features HYBRID Plus technology, which records another 3 hours to its 8GB internal memory. When you’ve finished shooting, touch the ‘Dubbing’ button on Handycam® and burn your movies onto 8cm DVD discs for sharing with friends and family. With no need to connect to a PC or other recording devices, it’s easy to share memories wherever and whenever you want. HDV – Convenience and manual functions for video enthusiasts: HDV remains the supreme choice for keen videographers who enjoy editing their own clips while valuing backward compatibility with their existing DV tape collections. Packed with professional features, the new HC9E adds advanced functions like spot metering and focus using the LCD screen, peaking to assist manual focus and manual focus to infinity. 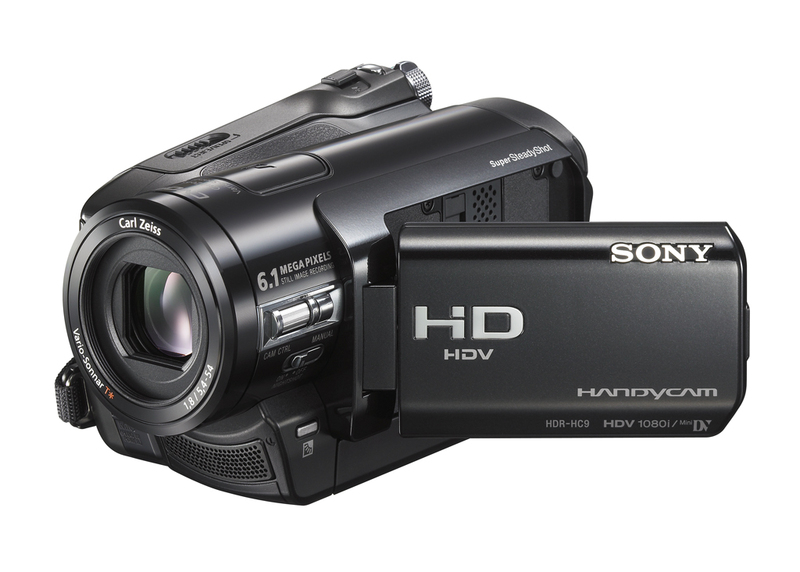 Even if you’re picking up your first ever camcorder, Standard Definition Handycam® makes it easier to shoot great-looking images. 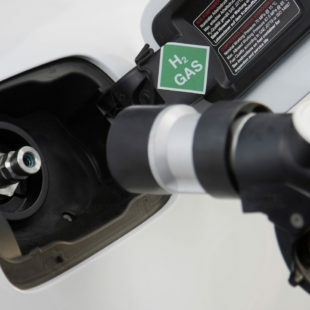 Range-topping Standard Definition Handycam® models achieve highest-ever picture quality using the same technologies found in High Definition Handycam®. Unique Sony technologies like ClearVid CMOS Sensor with Exmor and BIONZ processor feature alongside Super SteadyShot Optical Image Stabiliser, Face Detection and D-Range Optimiser for clear, beautifully exposed footage – even if you’ve opted to shoot in Standard Definition.